Car accidents can have many tragic outcomes and among the worst are disfiguring facial injuries. Car accident victims who suffer disfiguring facial injuries or scars may require extensive medical treatment including multiple reconstructive surgeries. The physical and mental pain that a victim endures is hard to imagine. Even after the completion of treatment, the victim may never look the same as before the crash. Disfiguring facial injuries are a common result of car accidents. According to a study published in the Journal of Cranio-Facial Surgery, facial injuries are a common result of accidents. The study found that over a period of 10 years, 9,543 patients reported at the University were admitted to the University hospital for treatment of facial injuries. 1,116 patients had sustained the injuries in traffic accidents and more than 500 injuries were work-related. Facial fractures – The human face is made up of a series of bones. A car accident that causes trauma to the face can cause breakage of any of these bones. In many cases, the fractures do not heal properly, leaving the victim disfigured. Soft tissue injuries – The face contains soft tissues such as muscles, tendons, cartilage, and ligaments. Soft tissue injuries are among the most common injuries treated by plastic surgeons. In spite of the best treatments available, soft tissue injuries may cause permanent deformities and impaired facial function. Lacerations – Car accidents can cause deep cuts to the face, which may require stitches and other types of treatments. This often leaves a victim with ugly scars. Burns – If the vehicle catches fire in a crash, it can cause burn injuries to the occupants. A victim may require skin grafting and other treatment. The victims of facial burn injuries are often left with skin discoloration and scarring. Eye injuries – Flying objects and debris can cause damage to the eyes. Serious eye injuries may not only leave the victim scarred, but may also cause blindness. Facial deformities – Any type of damage to the facial bones can cause permanent deformities including sunken cheek bones. This can change a person’s appearance significantly. 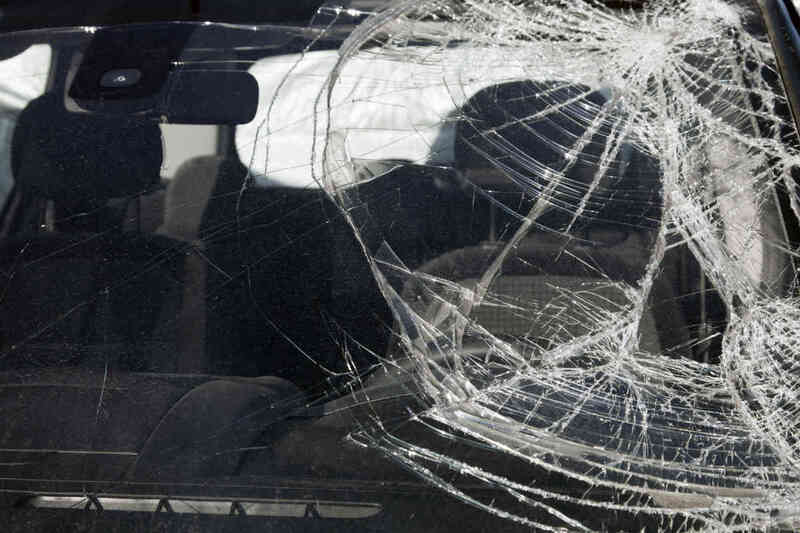 Facial injuries can be caused by flying objects, broken glass, being thrown through the windshield, ejection from the vehicle, contact with the steering wheel, window, airbag or the dash. In pedestrian-motor vehicle accidents, pedestrians are vulnerable to all types of severe injuries including facial injuries when stuck by a vehicle. First, the head should be kept elevated to avoid any blood accumulation in the damaged area. Try to minimize the pain and swelling by applying a cool pack to the injured area. Avoid pressure on any part of the face. If the nose is injured, avoid pressing the nose while sneezing. Sneeze through the mouth and do not blow the nose. Avoid lying down and putting pressure on the face. In a car accident injury case, it is a good idea to take photographs of all visible injuries, and this is particularly true for facial cuts, scars, and bruises. The victim should take photographs of the injuries as soon as possible after the crash. The photographs can help document the nature of collision and injury to the face. In some cases it is better to use a good camera to take photographs of the injuries rather than a smartphone camera. Your attorney may refer you to a professional photographer to properly document the scar. These photographs prove very useful when negotiating with the insurance company, or proving the extent of extent of injuries or damage in a St. Louis court of law. If the scar is significant enough, taking photographs may not be enough. You may need a professional opinion as to whether the scare is permanent in nature and whether or not further treatment can help relieve the effects of facial scarring. CT scans and MRI’s of the face, head, neck and spine can point out to causes of facial numbness. Proper medication along with therapies can help in reducing the numbness effectively. In cases of permanent damage or paralysis, long term therapies can help in reducing the effects but with slow progress. Patients who suffer from trigeminal nerve damage should follow medication and therapy correctly. Facial injuries often leave a permanent scar, and the victim has to deal with the psychological and emotional effects for the rest of their life. As with any other personal injury case, Missouri law allows accident victims to recover compensation for pain and suffering, future medical expenses, and take into account the permanency of the injury. While pain and suffering in cases involving fractures and back injuries is often easily ascertainable, the same cannot be said about facial injuries. Some cases involve extensive surgeries and re-surgeries, and serious cases may even involve diminished use of eyes or mouth because of scarring. Other cases require only minimal treatment. Many facial injury victims, who are left with a permanent scar live through a lifetime of self-consciousness about the scar. The overall costs of facial injuries, particularly those involving permanent scarring are quite high. If you have sustained a disfiguring facial injury in a car crash caused by a negligent driver, you may be able to recover compensation for medical expenses and compensation for the disfigurement and pain and suffering. Speak to an Accident Attorney at The Hoffmann Law Firm, L.L.C. at (314) 361-4242 for a free consultation.